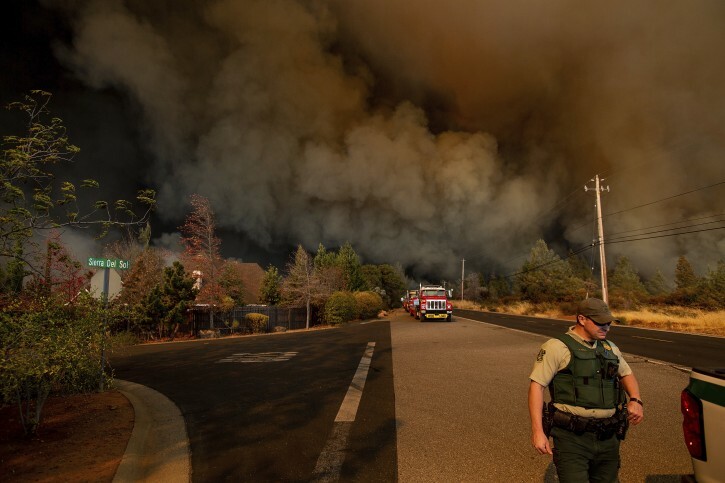 Paradise, CA - A fast-moving wildfire that ravaged a Northern California town Thursday sent residents racing to escape on roads that turned into tunnels of fire as thick smoke darkened the daytime sky. 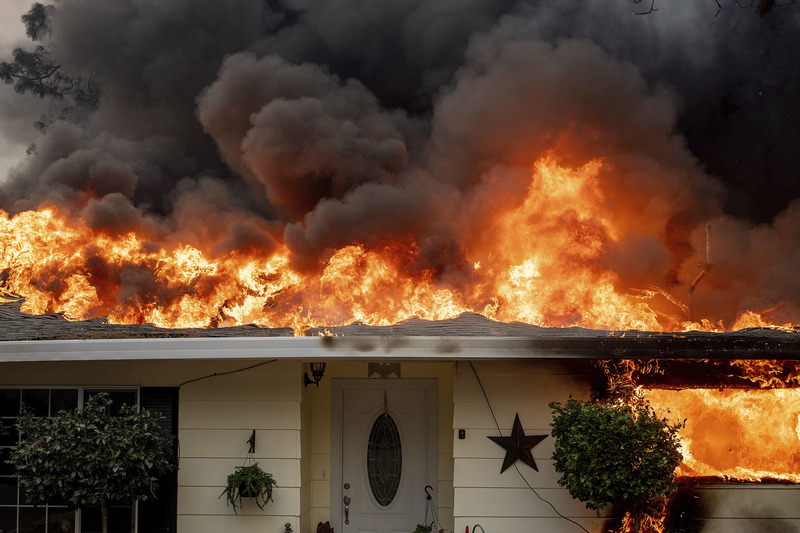 Several thousand buildings were destroyed by flames, a California Department of Forestry and Fire Protection official said. 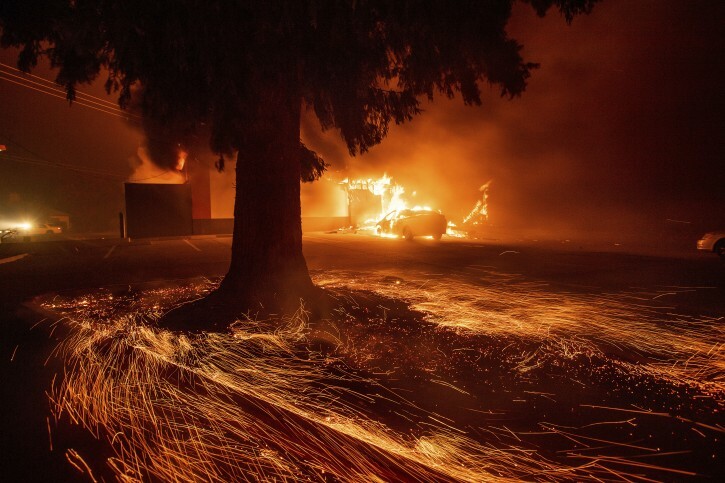 “We were surrounded by fire, we were driving through fire on each side of the road,” said police officer Mark Bass, who lives in the hard-hit town of Paradise, where harrowing tales of escape and heroic rescues emerged after the entire community of 27,000 was ordered to evacuate. Cal Fire Capt. Scott McLean estimated that several thousand buildings were in Paradise, which is about 180 miles (290 kilometers) northeast of San Francisco. “Pretty much the community of Paradise is destroyed, it’s that kind of devastation,” he said. Wildfires also erupted in Southern California, with reports early Friday of two large fires scorching about 23 square miles (60 square kilometers) and threatening numerous communities. ABC7.com reported that 75,000 homes are under evacuation orders along the border of Ventura and Los Angeles counties. 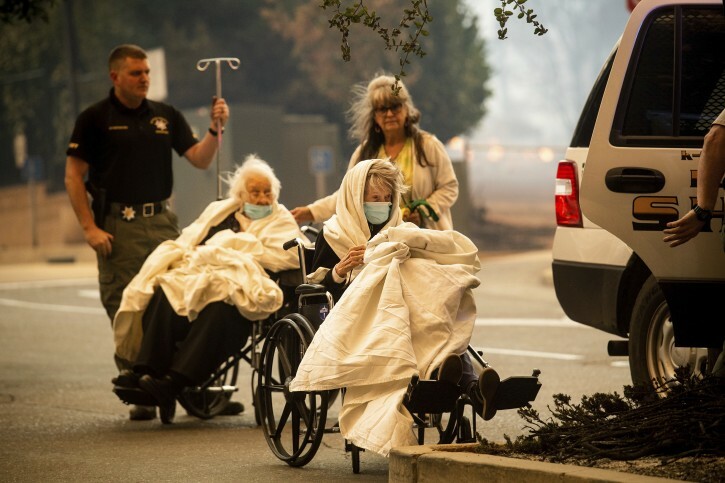 Emergency personnel evacuate patients as the Feather River Hospital burns while the Camp Fire rages through Paradise, Calif., on Thursday, Nov. 8, 2018. The fire in Paradise was reported shortly after daybreak and had consumed more than 28 square miles (73 square kilometers) by nightfall with firefighters unable to contain any of the blaze, McLean said. Flames consume a Kentucky Fried Chicken as the Camp Fire tears through Paradise, Calif., on Thursday, Nov. 8, 2018. Residents described fleeing their homes and getting stuck on gridlocked roads as flames approached, sparking explosions and toppling utility poles. 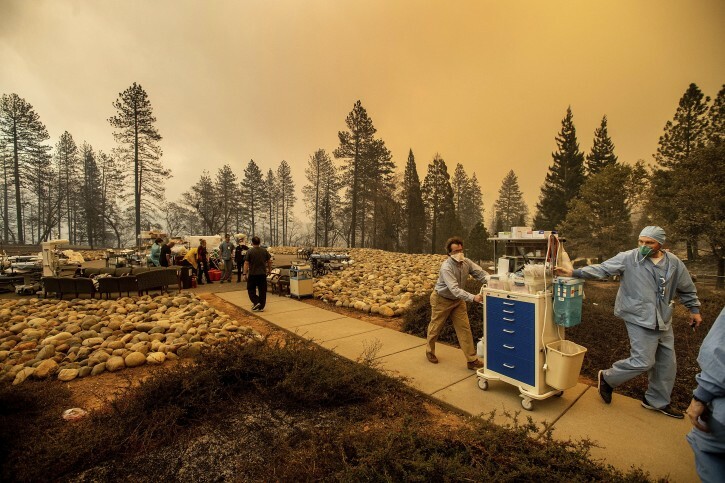 Medical workers move equipment from a makeshift emergency room while the Feather River Hospital burns as the Camp Fire rages through Paradise, Calif., on Thursday, Nov. 8, 2018. The Camp Fire rages through Paradise, Calif., on Thursday, Nov. 8, 2018. The Saturday papers are saying the town is simply gone. Ten people are reported dead. It's frightening! What does Hashem want from us?